I will always regret not grabbing the reporter's notebooks that belonged to Gwen Ifill. I was a young reporter at the Baltimore Sun when I was assigned a desk that belonged to her years before. As I moved in my incidentals -- my favorite well worn thesaurus, the mug I liked to use as a pen holder, a picture of whatever dude I was dating at the moment -- my foot kicked an old, dusty box under the desk. Out of curiosity I pulled it out, only to see "Gwen Ifill" scrawled across the top in black marker. Holy crap on a cracker. This stuff belonged to Gwen Ifill. Ifill was a news goddess to me. As a young, black, female journalist she was everything I aspired to be. Smart as a whip, tough, unflappable and filled with grace, she represented the integrity that I wanted people to think of when they read my work. The outpouring of grief on social media over her death at the age of 61 tells me that I wasn't alone in that. Journalist Goldie Taylor tweeted "@gwenifill was an incredible journalist, but also someone who never stopped encouraging me. Her shoes will go unfilled. They are too big." So so heartbroken to hear about the death of one of my professional idols @gwenifill. We need her now more than ever. Rest in peace. CNN senior politics producer for politics Terence Burlij worked at NewsHour for 12 years and served as a producer for Ifill. Together they covered stories like the rise of Vice Presidential candidate Sarah Palin and the 2008 Republican National Convention. "She just loved a good story and was always looking for smart way to tell them," Burlij said. "More than anything I am going to miss the person she was, the friend she was and her presence in my life." The word "icon" is thrown around a great deal these days, but Ifill was just that to many journalists of color. After graduating from Simmons College in 1977, she interned at The Boston Herald. "They didn't know what a college-educated black woman was and they didn't know how to treat me," she later told Time magazine. Racism actually played a role in her obtaining first job. According to Time, the Herald editors offered her a position after a staffer left a note saying "N****r go home." I knew about that kind of hate. I had once been advised to get my "black a**" out of Cecil County, Maryland while covering a story there. Years after I found that box I met Ifill at a convention for the National Association of Black Journalists. I was hesitant to approach her (she was a TV star after all), but she seemed to be interacting warmly with others so I took a chance. "This is going to sound weird, but you left a box at The Sun and I found it," I said quickly before she could dismiss me. "What," she laughed in surprise. "What was in it? Clearly nothing I needed!" I honestly don't remember the rest of my conversation with Ifill, or even how long it lasted. I had made the woman who talked with presidents and heads of state laugh. I do remember that when I found the box I couldn't wait to tell my then mentor, former Evening Sun newsman Joe Nawrozki. "Jesus, do you have any idea how old that box must be," he said at the time. 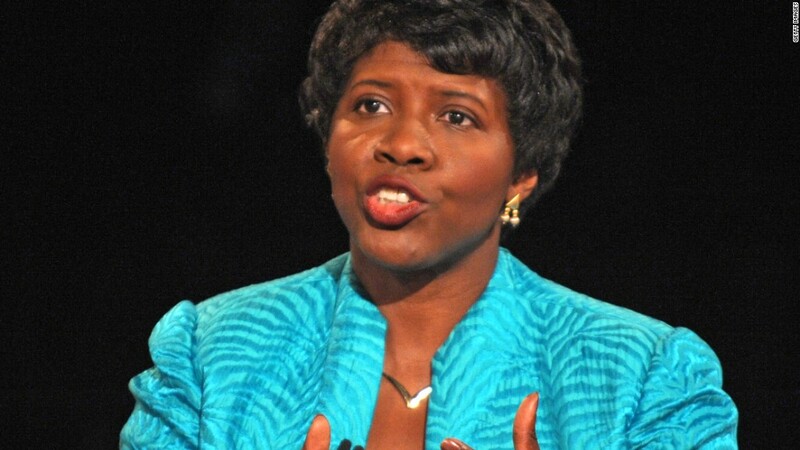 "Gwen Ifill hasn't worked here for years. Consider it a gift kid." I do. And I am so grateful for it.